There are two more days to go in this month, but from the way things look now we will end up just slightly over budget for the month. Considering how the month began though we’re very happy with where we’ve arrived at the end. Our goal in October, as in September, was to keep our average daily spending to no more than $50/day. That amount is to cover daily food and snacks, transportation costs (other than train journeys between cities or countries or rental cars; those trips were prepaid), entrance fees and tours, and any other miscellaneous expenses that come up. An Italian breakfast “burrito” for Sunday brunch to use up leftovers (gnocchi, meatballs, and pesto with scrambled eggs in an Italian “tortilla”). 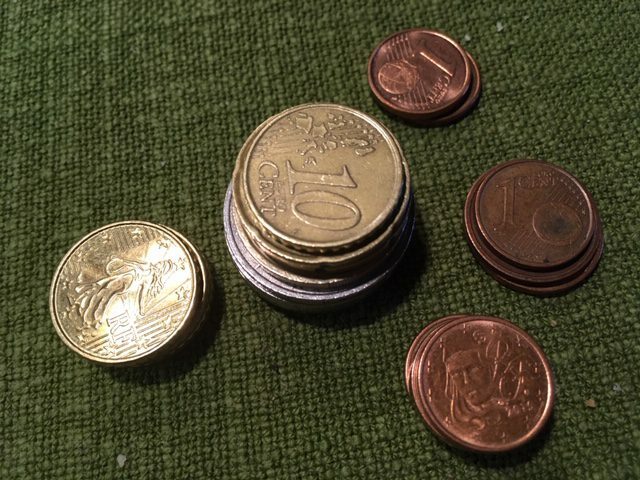 We spent the first three days of this month in Switzerland, but even with carefully watching our spending the costs for that short trip had our daily spend average at $123.83/day by the time we got back to Strasbourg on October 4 – yikes! Thankfully Strasbourg was a very affordable city and we were able to keep our daily spending there to around $40/day or less, and brought the monthly average down to $54.78/day by the time we left for Bordeaux. Our time in that city proved to be slightly more expensive than Strasbourg though so our daily average didn’t move as much while we were there, but Florence has turned out to be an affordable place to live and as of today our daily average for October is down to $51.25/day, or $38.25 over for the entire month. We can live with that. 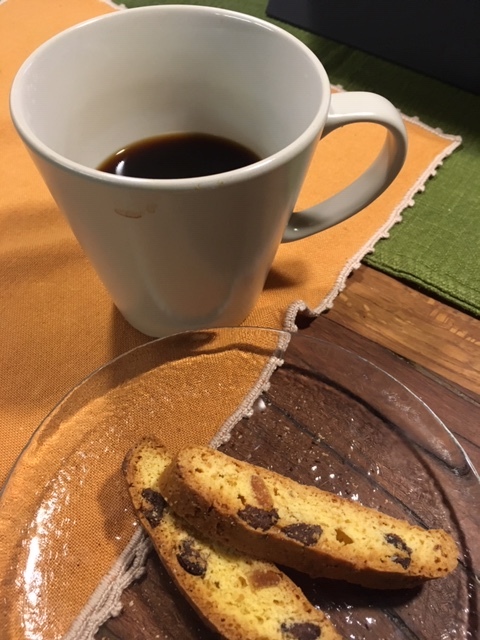 A frugal early afternoon treat on a stormy day: coffee with a couple of biscotti. 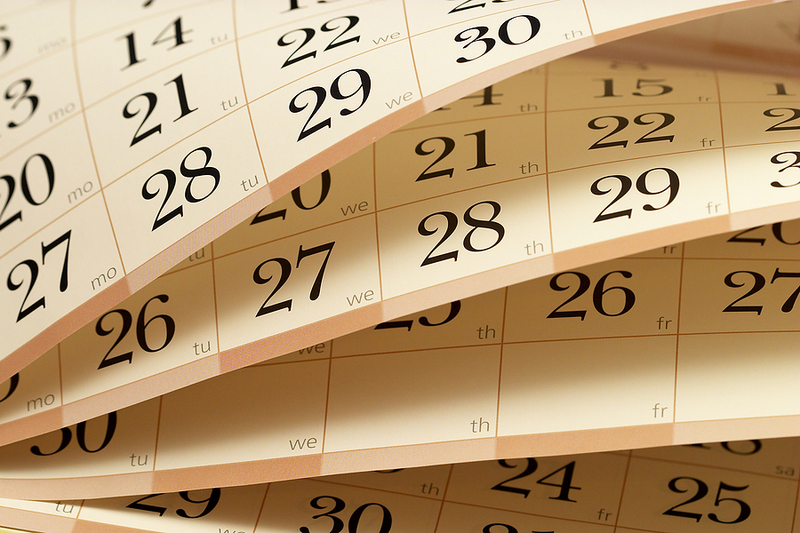 November will be one of our “long” months; that is, we will be covering five weeks versus four between our Social Security payments. There is some Christmas shopping we plan to do while we’re in Florence, which we have covered in the budget, but we’ve also decided on two other purchases we want to make here and will have to fit those in somehow. Thankfully we have already set aside funds for museum entrances in both Florence and Rome so those won’t affect our daily spending amount. Thunderstorms and rain have allowed us to stay home and recharge for a couple of days. A couple of other items, unrelated to current spending, have popped up this past month and are going to have to be dealt with when we’re in Portland in December. A slightly chipped tooth has been causing some minor pain from time to time, enough to be annoying, so I’m going to have to see a dentist and get that taken care of. Also, while we were in Bordeaux, continual walking on (uneven) cobblestones began aggravating the bursitis in my left hip something fierce, which in turn has ramped up my lower back pain. 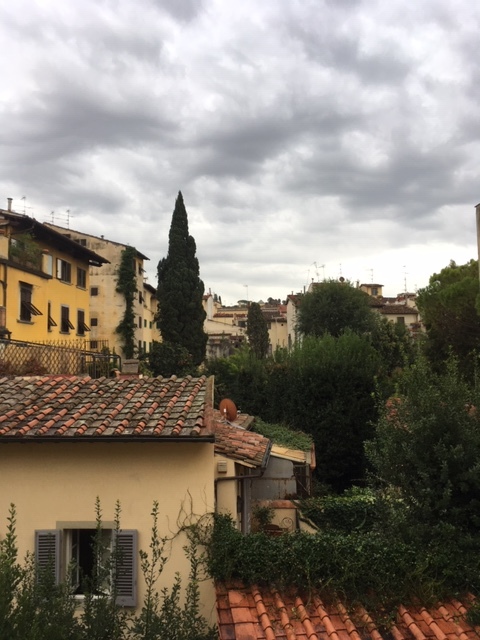 There are cobblestones everywhere in Florence, so I take Aleve every day which helps some, but the pain has definitely had an effect on how much I can walk (between two to three miles, but not much more). I was grateful for the thunderstorms yesterday because they kept us inside and allowed the bursitis to settle down a bit. However, I am probably going to have to get a cortisone shot (which I have avoided up until now) when we’re in Portland in order to be able to enjoy the rest of our adventure in 2019. 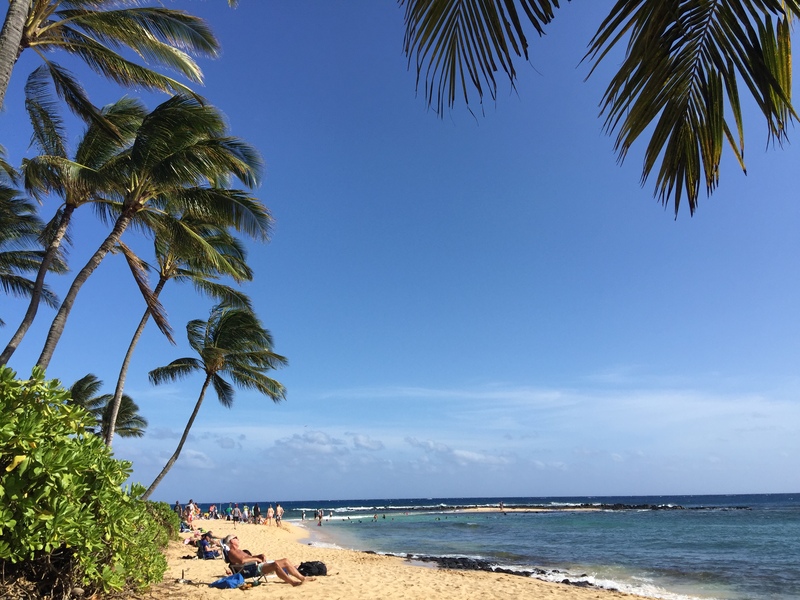 Our life in Hawai’i feels like something in the far distant past these days, but the reality is we’ve only been on the road for a little over two months. So far what we’ve seen and done has exceeded all our expectations, we’re having a grand time, and we’ve managed to stay within or very close to our budget. Brett and I have settled nicely into our travel-team roles, continue to greatly enjoy each others’ company and have fun talking about what’s going on and planning what to do each day (and what to eat!). My lovely multi-colored, swollen, and very sore left hand. Last Sunday evening I took a bit of a tumble during Brett’s and my walk. I was looking over at the remnants of a fair/festival that had been going on in the park by the side of the beach path and not watching my feet, and my right foot caught the edge of the path and boom! Down I went. I fell pretty hard too, but thankfully my head hit the grass and not the concrete path. My hand and rib were not so lucky. I felt OK enough after the fall to finish our walk, and felt kind of banged up in the evening. But when I woke up Monday morning . . . yowza! My hand was swollen, bruised and hurt something fierce, and my chest hurt like crazy too, including when I breathed. So, off to the ER we went. 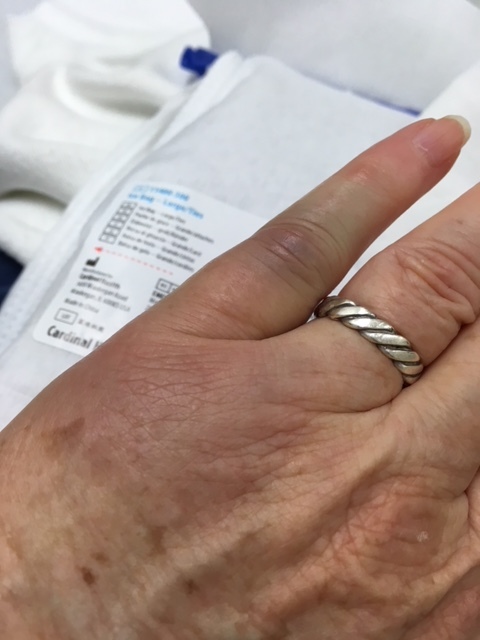 The bad news was I have a hairline fracture on the side of my finger. It’s not a major injury, but I’m splinted up for the next couple of weeks while it heals. The good news (?) was that while I didn’t fracture a rib, I did bruise one pretty badly. The doctor said it will heal faster than a fracture, but be more painful at first. I’m typing this with one hand (and making lots of mistakes), so other than a post I had already put together for tomorrow I’m going to take a blogging break for around a week or so, and then will reassess how I’m doing, Poor Brett – once again he will be taking on almost all of the household chores, plus helping me dress, etc. for a while. Life can change in a moment, but I’m so grateful and fortunate the injuries weren’t worse. I’m also very thankful for our insurance – between Medicare and Tricare For Life everything is 100% covered. While I won’t be actively blogging I’ll still answer comments, and hope you’ll give me some time to get to them (and not expect the answers to be too detailed). Spoiler alert: Humidity is winning. To say I don’t deal well with humidity would be a gross understatement. In fact, after three-plus years here on Kaua’i, the humidity here has become more of a problem than the cold and wet ever were in Portland. It’s really the one and only thing I truly dislike about living on Kaua’i. We were expecting to deal with some humidity when we moved here, but all our pre-move sources told us that it wasn’t really that bad, and that the near-constant breeze from the trade winds erased most of the effects of humidity. What we’ve experienced over the past three summers has been anything but comfortable though; in fact, it’s been downright miserable, mainly because each summer we’ve gone through long spells each day with no trade winds blowing . . . at all. During the first and second summers here the breezes seemed to stop in the late afternoon, just when it was time to prepare dinner, but pick up again in the evening. This past summer, the breezes have been stopping in the early evening, around 8:00 p.m. The temperature does cool off a bit, but when there’s no air moving slightly cooler temperatures don’t mean all that much. The air still pretty much feels like a warm, moist towel has been laid on your back. Part of my problem with the humidity here is physical: I am post-menopausal, and my body now operates at a higher temperature than it did when I was younger. Remember the old saying, “Horses sweat, men perspire, and women glow”? Well, I sweat these days . . . a lot. I am perspiring constantly. Even though we have a powerful ceiling fan in our bathroom to mitigate the humidity, when I get out of the shower I start sweating. I haven’t taken a hot shower since we moved here – lukewarm to swimming pool cool is more my style these days. I can break out in a sweat just walking across the room, or washing the dishes, or sweeping the floor. I often feel like I’m drowning when I cook dinner on the stove, and I’m completely drenched after a five-mile ride on my exercise bike, even though I have two fans on high speed blowing directly on me, and I’m sitting right in front of the open garage door. It takes a long time to get my body cooled off as well, even with the help of cool towels or ice packs. I wish I could blame it all on something like my thyroid or some other hormonal issue, but I’ve been completely checked out by my doctor and everything is well within normal ranges. 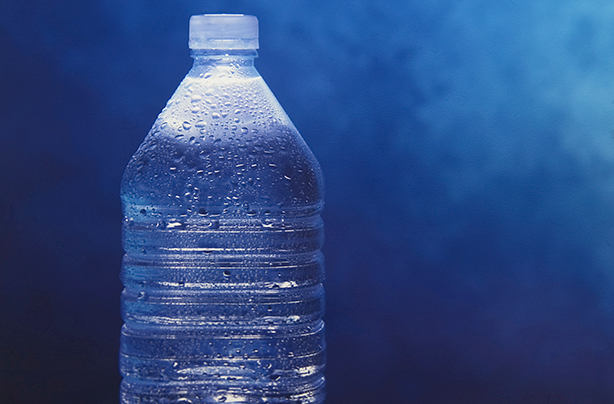 I drink more than enough including at least 64 ounces of water each day as well as other beverages, but I still retain a lot of liquid – during the summer I often feel like an over-wet sponge. I will admit my skin love the moisture – no lotion needed these days, unlike when we lived in Portland and I had to drench myself in it every day. The high humidity here also affects us in other ways: glasses and bottles start sweating the instant you set them down. Our freezer cakes over with frost in less than a couple of weeks as warm, moist air rushes in every time we open it. Food can lose its crispness quickly, even in sealed jars or plastic bags. Clothes take longer to dry outside, even in the sun. We’ve discovered the humidity also has affected some man-made fabrics. We’ve had a couple of shopping bags disintegrate on us, same with the fabric on the bottom of our chair and sofa. Yes, we could get an air-conditioner. But, electricity is expensive here – very expensive – and the cost of running even one air-conditioner would mean there would be much, much less left in our budget for other things. We want to travel, we want to be able to afford to bring our children home for the holidays, and so forth. 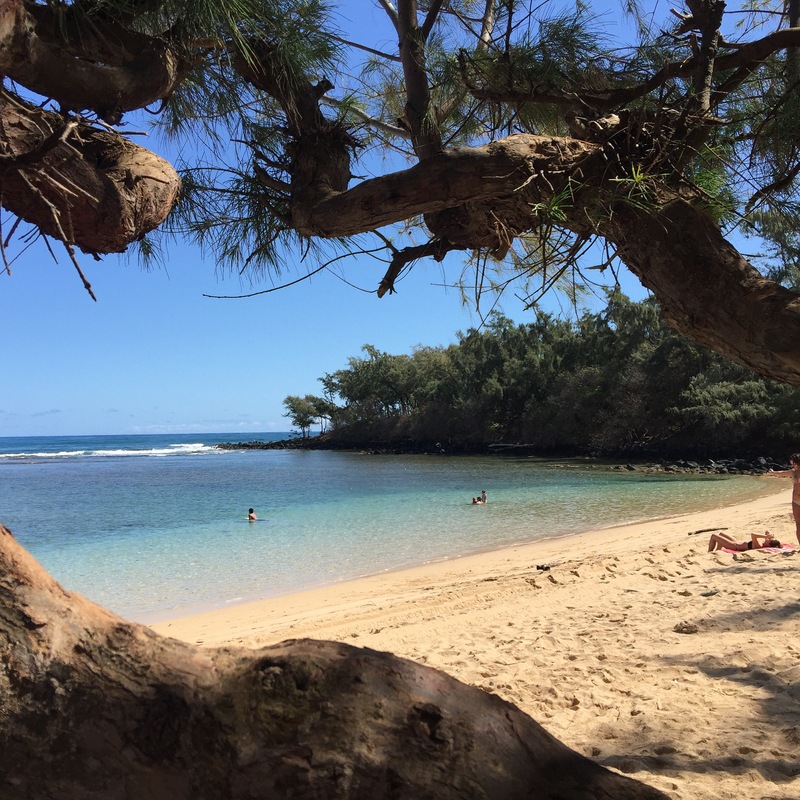 On our income we can either pay to stay cool but stay on Kaua’i, or suffer a bit but go out and see the world and see our college-age children once in a while. It’s also been suggested that we move to the north side of the island where it’s cooler by a few degrees, but YaYu is still in high school and none of us wants to deal with a daily 40 minute or more commute (each way) to school or her other activities. We like our little house and where we live now. Most people in Hawai’i live without air-conditioning. And, I know that the humidity has been or could be far worse in other locations either in the U.S. or otherwise. Fall is coming, and then winter, and both will bring cooler temperatures and lower levels of humidity. The sun will continue to shine, and for a few months I will be able to forget my daily battles with humidity and its effects. Still, I know my nemesis will be returning next summer, and I’ve got to figure out ways of better dealing with it. As we get ready to enter the last month of the year, I’ve been looking back and assessing my one-month-at-a-time plan that I began last January. At the beginning of the year I put myself on a vegan diet, and added exercise. The goal was to stay with what I was doing for one full month, assess how it was going and how I felt, and then adjust as necessary when a new month began. I have to admit that while I started out with the best of intentions, the exercise part of plan did not go well. I began the year with waking early to take a walk, but quit that in a couple of weeks because a) I hated having to wake up so early, and b) the walk was difficult because of the hills and the bursitis in my hip. I switched over to riding my exercise bicycle three times a day which went well until the humidity returned in the spring. Even with fans operating and breezes blowing I sweated enough to make the whole process exceedingly uncomfortable, and that form of exercise was given up. Exercise was changed to taking walks with Brett, but problems arose even with that when the bursitis in my right hip flared up to dangerous levels and didn’t subside. Injuring my back at the end of August sent me into what has become a three-month stretch of pure sedentary living. A couch potato probably gets more exercise than I have these past three months. I’ve been happy overall though at how differently I approach eating these days because of the one-month-at-a-time plan. I’ve gradually added most things back into my diet, but am far more conscious now of what and how much I’m eating and how it affects me. I am aware of how little I need of some foods in order to be satisfied. Meat (poultry, beef and pork) remain the only things that have not returned, but probably will this month, in very limited quantities. I am going to follow Mark Bittman’s approach in the coming days, vegan/vegetarian before 6:00 p.m., and then a more varied diet at dinner, with meat included, if desired. Now that I have a recumbent bicycle for exercise, I am going to ride 30 minutes/day, in two 15-minutes sessions. The humidity will be dealt with somehow. I am going to drink eight glasses of water every day. Both of these will be tracked. When I complete both every day for a month I will reward myself at the end of the month, something a bit more special than a coffee at Starbucks or some such thing. One other activity beginning December 1 will be to spend at least 30 minutes a day studying/reviewing Japanese, and 10 minutes each day learning another language, maybe Italian or Spanish (again). I’ve been complaining and whining here about my back for the last month or so, but I finally understand what happened and why, what I have to do to get well, and how long it’s going to take. My current back injury is a long-term result of a catastrophic accident that occurred over 17 years ago. Two months after bringing WenYu home from China, I tripped over the baby gate we had installed at the bottom of the stairs in our house. My left kneecap hit the hardwood floor and shattered into five pieces. Before surgery, the doctor told Brett and I there was a possibility it could not be saved, and that I might not walk again. But, the doctor did a superb job and was able to repair the kneecap. It took a long time to heal, along with months of physical therapy. I can walk now, which is the most important thing, and will forever be grateful to the surgeon who repaired my knee, but there are things I’ve never been able to do since the accident, or do easily, like run, or walk down stairs or hills, or get up and down off the floor easily (which was hard when the girls were little). Although I appear to walk normally, I’ve actually been favoring my broken knee ever since, and over the years developed a wicked case of bursitis in my hips, especially my right hip. It’s been getting worse over the past couple of years to the point where after walking for around a half hour or so I experience intense, burning pain. Over time my body has come up with all sorts of strategies to protect both my knee and my hips, and my current back problems are directly related to the bursitis in my right hip. During my long day of travel at the end of August, I hurt my back because I was protecting my hip which was still trying to protect my knee. Both my doctor and the physical therapist said a large knot had formed in my lower back, a mess of muscle and nerves. After my first PT session I felt awful. The session itself hadn’t been painful, but I felt like the therapist had opened up a bag of poison that had been growing inside of me. I came home and slept for two and half hours, the longest nap I’ve ever taken, and the next morning I woke up feeling more sore than I had in weeks. But, as I went through the day I began to feel better and better and with a couple of exceptions I feel like I’m finally on the right track. Besides helping my back to heal, the therapist and I will be working on retraining my back and hips so that the bursitis won’t flare up again, or at least not as much as it does now. The physical therapist will be using massage and exercise over the next few weeks to get things back to where they should be. The very good news is that I don’t have arthritis or spinal problems, which was a concern. It’s going to take several weeks to accomplish the PT goals. I have to continue to spend time lying down, more than I would like, to rest my back. I’m going to have to resist trying to get up to “do it all” again. I felt good enough to go to the farmers’ market on Wednesday, but that proved to be a mistake and I came home in agony. So, short walks and small chores will be it for a while still. Brett and YaYu will continue to take over most of the household duties until I can ease back in to them. I dislike being sick or injured, so I will get better. There’s a whole world waiting for me out there! It’s one of the great opening sentences of all times, because you know right away that you are going to be reading someone’s unhappy story, which I assume is what Tolstoy knew would keep people reading. Discontent sells. With the advent of the Internet, and blogs, and people openly writing about their daily lives and problems these days, I think though that Tolstoy might have to flip that opening sentence around these days. It seems like unhappy people are more alike than different, but truly happy people are content in their own way. I have known people my whole life who are not “happy” unless they’re unhappy, and want you commiserating along with them. These people often have interesting jobs, nice homes, are financially secure, they and their families are healthy, and yet they are always complaining about something, or asking you to feel sorry for them or excuse their bad behavior because don’t you know they’re having a bad day/month/year? Why can’t you respect their misery or understand how hard their life is? Something is always going wrong and it’s not their fault! They seem to have an inability to see how good they have it compared to almost everyone else, or are obsessed with what others have or are doing. They seem disinterested in figuring out ways to overcome or rise above whatever is bothering them, or accept responsibility for their own agency. They choose to be unhappy and they are. One of the benefits of being invited into others’ lives, whether in a book or a blog, or real time, has been not only learning and thinking about new things, but also realizing that there are many and different ways to achieve happiness. And, what works for one person or family, and brings them joy or contentment, will not necessarily work for me or my family. Every person, every family has their own unique way of finding happiness or contentment, and their own ways of dealing with the obstacles of daily life. Each person or family defines happiness, contentment, gratification, whatever you want to call it in their own way, and no one gets to define them for anyone else. We really don’t even get to have an opinion about it (although we of course always do). 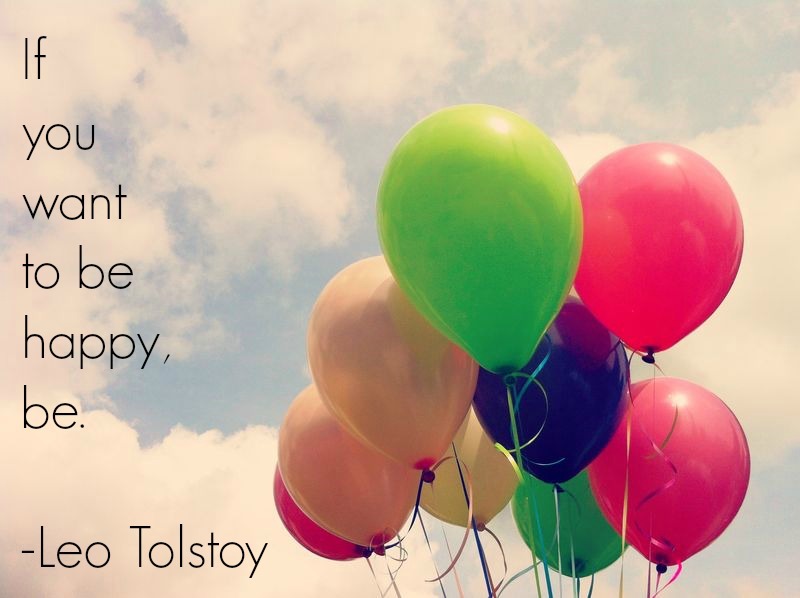 If there is a sameness to others’ contentment or happiness, as Tolstoy contends, it’s that it takes work and commitment to maintain it. It’s easier to complain, to sulk, to criticize, to whine, to look for or expect the negative than it is to remain positive and cheerful, even in the face of obstacles. It’s often easier to point the finger at others rather than focus on our own lives and what we could change or do differently to increase our own happiness. No one lives a life free of trouble, worry or unhappiness; I certainly don’t. I have days when it seems like everything is going wrong. Bad things happen sometimes. There are days when I’d like nothing better than to get on this blog and vent. But, I also worry less these days than I did in the past because I finally figured out that problems have solutions and that things will eventually be resolved. Maybe not always the way I’d prefer, but they will work themselves out. I know that tomorrow will not be the same as today. As written in the I Ching, “you cannot step in the same river twice.” Nothing lasts, everything changes, and while things may not always get “better” right away or the way I want or even at all, things will at least get different. And, different will eventually change as well, and sometimes different is the best we can hope for. I have far, far more good in my life these days than bad. We have enough, more than enough really. We’re healthy. We’re living the life we dreamed of and worked for. You can choose to be happy, and I choose happiness. 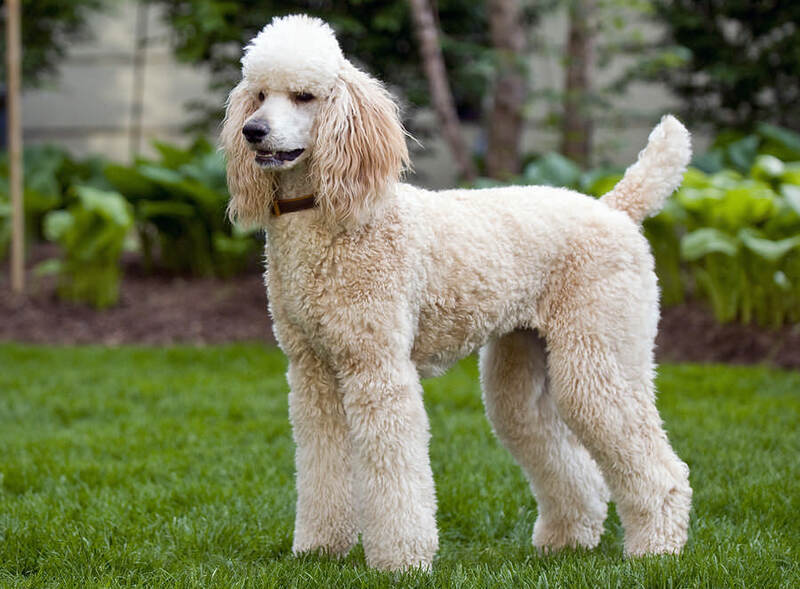 A poodle. Why, they asked, was I trying to or wanting to become a poodle all of the time? We don’t expect dogs to change their breed’s characteristics, even though they’re all dogs, so why do we expect to be able to change our own? I was not born tall, or lean. I do not have long legs or slim hips and have always erred on the side of being overweight. I have small, wide feet. I have thinnish curly hair that grayed prematurely. I have blue eyes, fair skin with freckles, and I sunburn easily. Why couldn’t I be happy with who I am? the girls asked. They thought I looked terrific, and Brett agreed with them. When we got home that night, WenYu shared the following video with me. She had used it in as part of a presentation she gave on body image, and women’s seemingly unceasing need to make ourselves over into something we are not, pushed along by both science and society. The video was a genuine attitude-changer for me, and has helped me look at myself in a whole new light. I eat a wide variety of healthy foods, limit my alcohol intake, and get enough exercise. I am not obese. I am in good health, both physically and mentally. I have a loving family and good friends, and am living where and how I want, with little to no stress. And that should be good enough. It is these days. No more dieting, no more scales, no more worrying about my size. It’s been positively freeing. I am not a poodle, don’t want to be a poodle, and am not trying to be a poodle any more. Recently, there’s also been some icing on the metaphorical cake (so to speak). Scientists now think that being overweight, or slightly obese, can actually protect your health. I’m in India where cows roam the streets and I feed them from a doggie bag after dinner. I’m looking at a cow right now. It’s standing outside the door of the Internet on the other side of the glass. I think this one knows me. My cow friends find me after I eat. They come charging down the dirt road with glee in their eyes ready to grab my leftovers. So I can’t very well eat them now can I? We’re staying in an ashram on the Ganges River and not moving. This morning wild monkeys who looked like burglars woke us up by peering into our barred windows. But it’s way calmer than yesterday when I flagged down a big rig in Southern Nepal after the bus we were waiting for failed to arrive. The truck driver gave us a lift for a few hundred Nepalese rupees. About $3 US. Two hours later the driver had to perform mechanical magic on his engine and we stopped for an hour to wait. One must be creative in the transportation department in the Himalayas. Busses are packed to the brim. So my son showed me how to climb up on the bus roof for a seat. The view was spectacular but I had to tell a man sitting next to me to stop spitting in the wind as his spittle was sliding dangerously close to my cashmere sweater. He looked at me like I was from Pluto but he did stop after I gestured for him to spit on the ground twelve feet below us. I’m so glad I had my son – he’s been my bodyguard here in India. When I’m alone I get hassled but with him, I’m protected. If you see a sink in a bathroom don’t assume turning on the faucet will produce water. I now consider plumbing a luxury. Don’t believe anything you read in the US press about the political situation in Nepal. It is highly exaggerated. I’m now used to seeing mostly handsome men walking around wearing fatigues with rifles slung over their shoulders cruising the streets. As soon as they see our white USA faces we are waved through every security checkpoint. They need our rupees here and we don’t look like Maoist insurgents. “The Maoists kill policemen not tourists.” My son said to comfort me. Tourism is down to zilch due to the exaggerated claims of violence. But last week the police did find a house full of Maoist artillery in Pokhara, the tiny mountain town we vacationed in a few days ago. There are lots of security checkpoints if you are riding in a car. If you’re walking, no problem. They immediately wave you through with the barrels of their rifles. The Nepalese people are gorgeous and feed you constantly. I just learned the word for “enough.” Its pujo. I think. Toilet paper is an extravagance. Public bathrooms have none. Men don’t need it so it’s not provided. It’s helpful to have strong thighs for the Eastern toilets. Squatting is a more relaxed pose for elimination and I’m now trained for this procedure. Now, we’re in Rishikesh, India, a holy village on the Ganges River, which does feel sacred when you stick your feet in it. Rishikesh is the birthplace of yoga but all I did today was get a massage from Gita. The young whippersnapper did yoga but after hearing how difficult it was I decided to just get a massage. Thank heavens I had him. He’s a fine courageous young man and far more calm than I am. And because of him I have been washed of all sin. Wolf asked me to go river rafting with a few other youngsters on the Ganges River. I mentioned it was Winter now, but after being drenched with river waves over our heads I was spiritually cleansed and felt much younger. The worry lines faded from my forehead. I barely recognized myself. And I was just going to read a book that day. It is a known fact that bathing in the Ganges purifies you. Look Ma, no sin. I feel lighter. And definitely sin-free. There is no meat, eggs, or alcohol in town. I just asked for an omelet and even though I was so hungry I was gnawing on my foot they denied me. Then the waiter didn’t know what a grilled cheese sandwich was and brought me cold cheese with raw vegetables between frigid slices of white bread. My stomach was shell shocked from lentil beans on tap but my son said, “Just eat it, Ma.” He’s more cultural savvy and accepting than I am. I did eat it after sending it back and getting another culinary surprise. This time it was toasted bread with frozen cheese and a well-iced tomato. I’ll just go back to eating dal baht. What did I expect on the rooftop of the world? Unfrozen cheddar and Skippy peanut butter? This is a true tale from my book, Kitten Heels in Kathmandu, Adventures of a Female Vagabond. Read the reviews on it and check out my 3 other books here. My Best Photography from the Himalayas here.